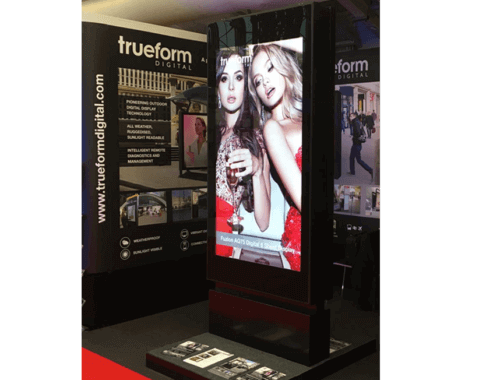 Trueform had a successful two days at the Retail Digital Signage Expo at Olympia, London on 8th & 9th May. Trueform showcased their advanced range of outdoor digital advertising and SmartCity displays. The well attended exhibition and conference has a strong international presence. Our new 75’’ double sided outdoor digital 6 sheet display, launched last month, received unprecedented levels of interest. As the leading supplier of outdoor signage for over 40 years, it was a great opportunity to catch up with our existing customers and the marketplace to showcase our ground breaking digital display technology and innovative products.